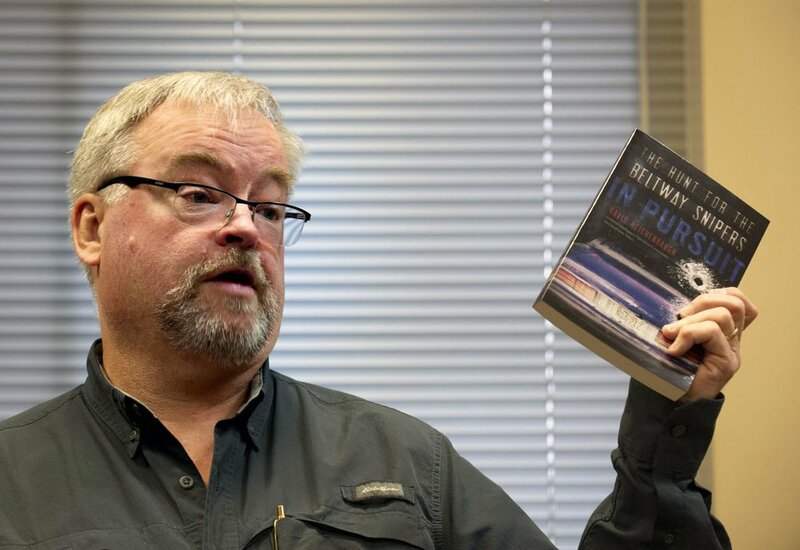 Author David Reichenbaugh will appear at the Annapolis Book Festival this Saturday, April 6th at 2:00PM to present his new book In Pursuit the Hunt for the Beltway Snipers. The author and retired Maryland State Police Lieutenaant will be at the Key School 534 Hillsmere Drive Annapolis Maryland at 2:00PM at Room 2 Barn Commons where he will give a presentation monitored by WBAL’s Chief Investigative Reporter Jayne Miller. Jayne Miller covered the sniper case and the subsequent trials and this discussion which is open to the public promises to be very detailed and informative. The book festival will have In Pursuit the Hunt for the Beltway Snipers available for sale and the author will be happy to sign books for those that purchase his book at the vent. The sniper case terrorized the Washington, Maryland and Virginia area for 23 days in October 2002. During the 23 days John Muhammad and Lee Malvo were responsible for murdering 10 people and wounding 4 more. The shootings were completely random and terrorized the Capitol area bringing normal life to a standstill. The investigation was the largest and most intense manhunt in American law enforcement history. Come and hear the true story as never been told before how the investigation was conducted and how the killers were tracked down and cornered in a rest area in Myersville Maryland. Reichenbaugh takes the reader thru the investigation including the intense emotions of working the case that investigators dealt with while working around the clock to track down the killers and bring them to justice. In addition to Reichenbaugh the Book festival will have other noted authors at the event to present their books including Michael Isikoff, Ken Starr, Evan Thomas, and Kevin Cowherd.